A fun and original illustration that will look great in your little ones bedroom or nursery. 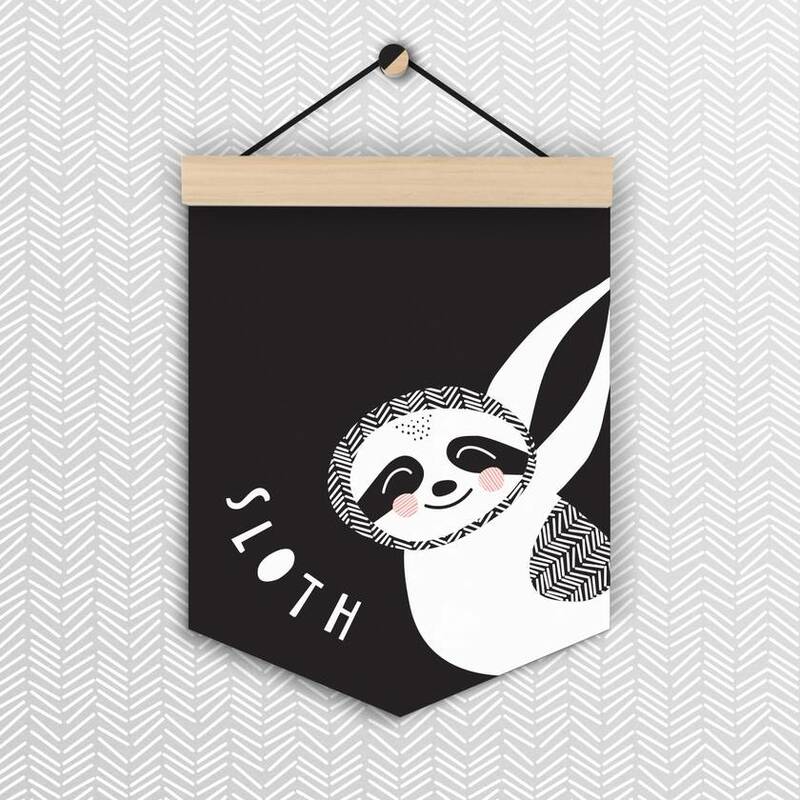 The sloth is one of seven in our series of animal wall flags, make sure you check out the others too! Our Wall Flags are 190mmW x 250mmH (approx 8x10"). They are printed on high quality 350gsm white card and are mounted with a strip of lightweight wood and black cotton string. They come assembled and ready to hang.